It is all about safety. Driverless vehicles are about increased safety on roads comparing to human drivers. Researchers say that self-driving vehicles will eventually be 90% safer than the ones operated by human drivers. 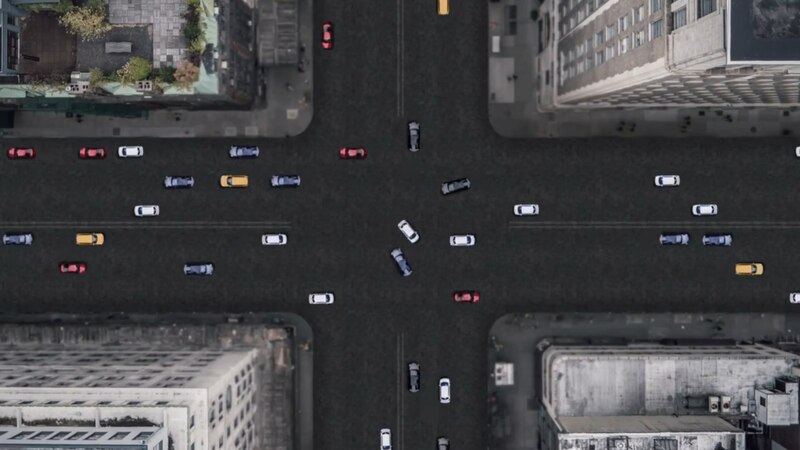 In order to release the driverless technology on public roads and assure the future army of customers that this tech is really safer, it is estimated that around 11 billion miles of real-life experience are required to be driven on the roads of all kinds. However, the road roaming is only the physical prerequisite and it does not carry value itself. It is only required to collect the adequate road data from all sensors that will be later analyzed by big data centers in order to teach the driverless vehicles to recognize various obstacles and potentially hazardous road situations to avoid collisions and to prevent the fatal accidents. The scientists tell that simple riding on roads may be a devastatingly erroneous waste of resources and time since there may be not even one potentially dangerous situation on the road during thousands of miles driven. Thus, they are proposing a totally different approach to the educational technology applied during teaching autonomous vehicles how to drive: they will use only selected hazardous situations that have already occurred on the roads and will make the repeated software testing using all sorts of variations of every of such situation. The used data is a real one. It is taken from 25+ million miles of driving experience, the access to which the University of Michigan has for the own needs. Their specialists have already filtered the data to collect all possible kinds of dangers that encounter driverless vehicle on the road and will repeatedly use it, varying a degree of hazard, to make a prognosis for all situations. Using this technology, the real-life time required to encounter all such possible variations shortens to 99.9%, and every run mile will result in 300…1000 miles of the software-modeled run. In addition to that, they say a deadly collision occurs only once per 100 million miles. Reaching it could be quite a hard thing if to drive on land. 1)	There’ll be no necessity to run the test vehicles on the roads for long years or even decades to collect the relevant experience (as it is estimated that 10 years will be required by 1 driverless car to roam 2 million miles only, which is a nonsense from the point of view of resource management). 2)	Autonomous car manufacturers will be able to estimate the safety of their developments running software instead of a car. 3)	The ultimate goal will be reached: there’ll eventually be enough evidence to show to consumers proclaiming almost absolute safety of the driverless technology compared to human-operated vehicles. In the future, according to Ding Zhao, a co-author of the work describing the new method on paper, this technology will also contribute to the safety tests of the future models of cars. Thus, according to him, the current tests are similar to a doctor’s involvement when he or she takes the blood samples from a patient to understand the health state, by colliding a dummy in the model of a car with a wall. While this technology allows testing how to avoid collisions at the first place and how a car will react to the danger of collision, including what measures will it take to avoid it. It shall also contribute to re-thinking of the insurance grids and tariffs by insurance companies when the autonomous vehicles will take the market.